A painful joint can severely affect a patient’s ability to lead a full active life. Over the last 25 years, major advancements in artificial joint replacements have greatly improved the outcome of surgery. Artificial joint replacement surgery is becoming more and more common as the population of the world begins to age. The goals for joint replacement surgery are to reduce daily pain and help you live a more active daily life. Two of the most common joint replacement surgeries are replacement of the knee and replacement of the hip. To learn more about these two procedures and proper surgery preparation please visit the pages below. Before your surgical procedure it is important that you understand the preparation that is required. Explore a range of topics related to surgery preparation. 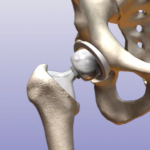 Learn more about total hip replacement surgery. 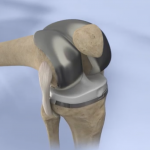 Learn more about total knee replacement surgery.